Recently, integrated offerings that span both EE and DR, as well as other program areas, have become much more feasible due to the advent of the smart grid. Integrated offerings are key indicators of a broader integrated distributed energy resources (iDER) future. Identifying program design and savings attribution methodologies for harnessing their benefits are critical to enabling public support for the innovators that will populate this future with integrated offerings that bundle value streams into streamlined solutions. 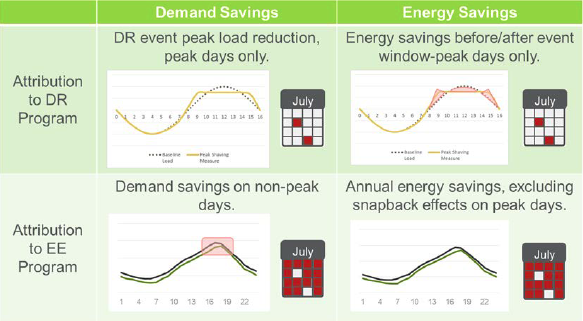 In this white paper, Navigant Energy Services presents a methodology to account for all of the energy and demand savings from an integrated EE and DR offering on an annual basis. It separates the attributes of each program type while avoiding the double counting of savings across programs. It also proposes methods to accurately portray the costs and benefits of each program. This methodology could be applied to an integrated offering such as Whisker Labs’ Connected Savings Platform. Once you submit, you will be redirected to download the white paper.